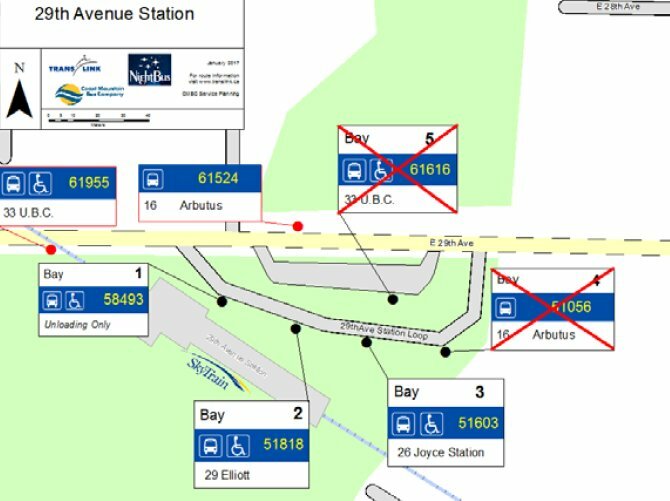 UBC Exchange bus stops are moving September 4! Riders of the 99 B-Line and the 49 Metrotown Station this announcement is for you! 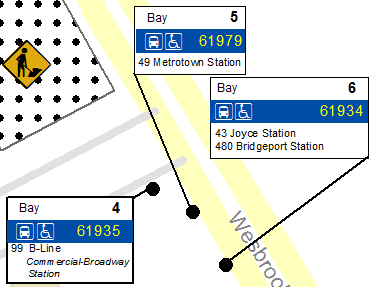 The bays for both routes will be moved to improve customer queuing. These changes will take effect on Monday, September 4, 2017. Where can you find your bus as of September 4? follow @TransLink or call Customer Service at 604.953.3333. It’s going to be HOT this week in Metro Vancouver with temperatures soaring upwards of 28 degrees Celsius—or 34 degrees Celsius if you factor in humidity! We’re quite used to the temperate weather in Metro Vancouver, so it might get a little uncomfortable especially on crowded buses and SkyTrain cars. Before you head out out the door, here are ten heat wave survival tips for traveling on transit! Summer season is also detour season. Construction, festivals, marathons and markets are taking place across Metro Vancouver, so be sure to follow us on Twitter (@TransLink), check the Transit Alerts page and plan your trip using our Trip Planner tool before you go. If you think you’ll need time to recover from the heat, it might be a good idea to start your trip a little earlier too. This way you aren’t running after the train and it will give you time to recuperate between transfers such as spending some time in the shade or grabbing an ice-cold drink. 2. Ride beside others as you would have them ride beside you. Since heat and crowded conditions can make people very testy, we need to be all the more mindful at these times of what we do around others. If you can, try to observe basic hygiene and don’t go too far with the cologne, after-shave or perfume, since so many people are severely allergic. It’s a good idea to wear white or light coloured, breathable clothing since black and other dark colours trap heat. Remember to wear sunscreen and sunglasses—being on transit doesn’t protect you from harmful UV rays! For safety reasons, shirts and footwear are required on SkyTrain. If you’re coming back from the beach, make sure you have a shirt on and something on your feet. Remember to apply another golden rule—would you want to sit next to someone on a hot day without a layer of cloth between you? Generally, food and drink are not allowed on transit vehicles, but since it’s important to stay hydrated feel free to bring a bottle of water on transit – but absolutely no drinks with no lids! Be mindful that it is sometimes necessary for our transit vehicles to come to a sudden stop, so it’s probably not a good idea to drink while the vehicle is in motion. 5. Keep those windows open—or shut! The majority of TransLink vehicles are not air conditioned, but our newer vehicles are! Look for the signage on the window. It can take some time for the vehicle to become cool if it just entered service, so please be patient rather than opening the window. If you want a window opened or closed, as a courtesy, it might be nice to ask around first in case somebody has a preference for the window to be opened or closed. They might have allergies! Stretch your definition of who should have priority in seating. Our signage says seniors and people with disabilities have priority, but if you see someone on a hot day who looks like they need the seat more than you do, please be courteous and offer it to them. Figure out which seat will get you away from the sun and plan accordingly! It will make for a more comfortable and cooler ride. Consider waiting for an air-conditioned SkyTrain car or bus if you think you need it. Do you really need to hop on the bus at 4:00 p.m. in the afternoon to do grocery shopping? Consider travelling earlier or later in the day when transit is less crowded and the weather outside is a little bit cooler. Remember, it’s a one-zone fare after 6:30 p.m on SkyTrain. Moving all the way to the back of the bus means more people can get onto the bus and more room for you too in this weather. We promise there’s no black hole in the middle of the bus. Look out for buses coming down the street and stand at the pole in plenty of time to let the operator know you’d like to board. It’s also not a bad idea to avoid wearing dark clothing (white or bright colours are best) in case the bus operator doesn’t see you. That way they can pull in safely into the stop to pick you up. Above all—BREATHE! We all look forward to a warm summer and here it is. Cut others some slack and enjoy the nice weather. Days like these don’t last long in this region. Vancouver’s climate and transportation system are two factors that make it one of the most livable regions in the world. Observing these suggestions and maintaining your own “situational awareness” can make for a more pleasant experience all around. As always, TransLink’s top priority is to ensure the safety of our customers and employees. So, in preparation for the inclement weather set to hit our region over the next few days, we are taking a number of steps. Our Emergency Management group is participating in Emergency Management BC and Environment Canada conference calls to stay apprised of the forecast and expected outcomes as well as communicating within the organization to ensure necessary preparations are made. Tree branches falling into our trolley overhead wires can be an issue during high-wind conditions, so we are checking known risk locations to prepare. We also sometimes face road debris, which can result in detours for our bus service. Transit Supervisors and other support staff out on the road, such as Transit Security, in order to proactively identify such problem areas and communicate them out. Once identified, we can react quickly by contacting the municipality responsible for clearing the trees or debris. 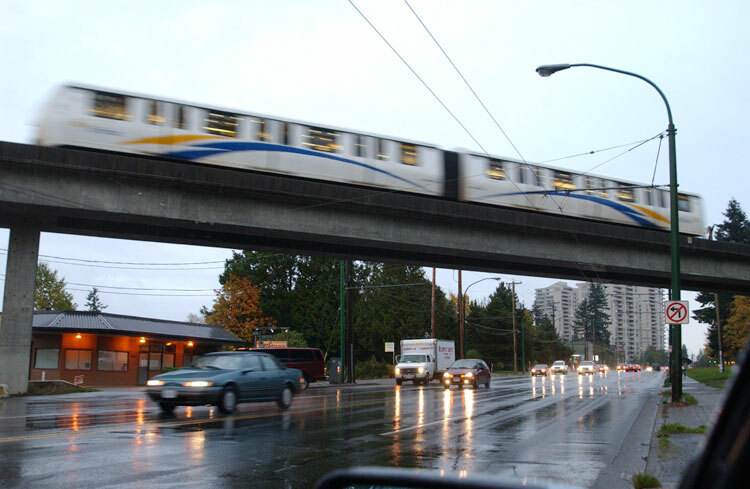 In case of high winds, SkyTrain service over the SkyBridge between New Westminster and Surrey may operate at reduced speeds. If wind speeds exceed 100 kph, service could be temporarily suspended. We’ve also proactively reached out to construction projects adjacent to SkyTrain to ensure items are properly secured, to prevent anything being blown onto the tracks. 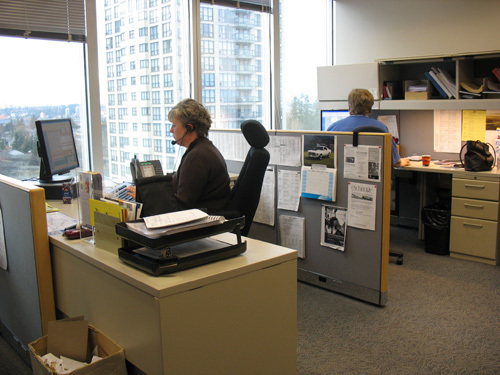 Follow our fabulous Customer Information team @TransLink on Twitter or phone 604-953-3333. Be aware! More people than usual tend to take transit during nasty weather – common transit courtesy applies even more on days like these! Be visible! A bus operator has a lot to be aware of in AND outside of the bus. Make yourself visible to them! Wear bright, reflective clothing and stand close to the bus stop poll. Be patient! Traffic lights may not be working properly that could cause detours for buses, same goes for debris on routes. We will continue to monitor the weather and get the word out to all customers if there are any service impacts. Until then, stay safe, stay dry and happy transiting! Members of our Customer Relations department in action. 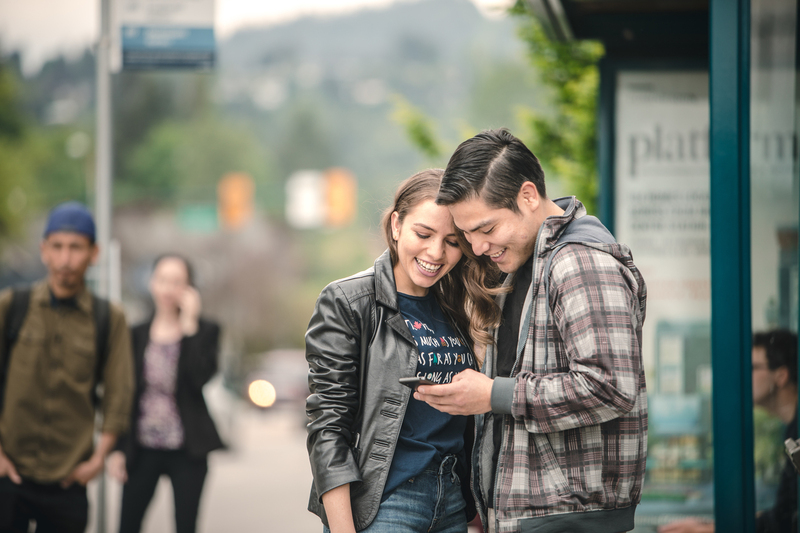 TransLink is combining two of our most popular phone numbers into one – making information and customer service more accessible for our riders. Starting today, June 6, 2016, Customer Relations (CR) and Customer Information (CI – the folks on Twitter!) are merging into one call centre. This means when you call 604-953-3333 you will still get transit information, but you can also leave feedback at this number as well! Creating a one-stop-shop for customer needs also means you can leave feedback during CI’s extended hours – Monday to Friday from 5:30 am to 12:30 am, and weekends from 6:30 am to 11:30 pm. As of June 6th, all calls coming into CR will be automatically redirected to CI to make a seamless transition for customers. Have questions or comments on the new call centre?